We welcome our new French distributor VBV International – welcome on board! DRUMnBASE review in DRUMHEADS magazine! 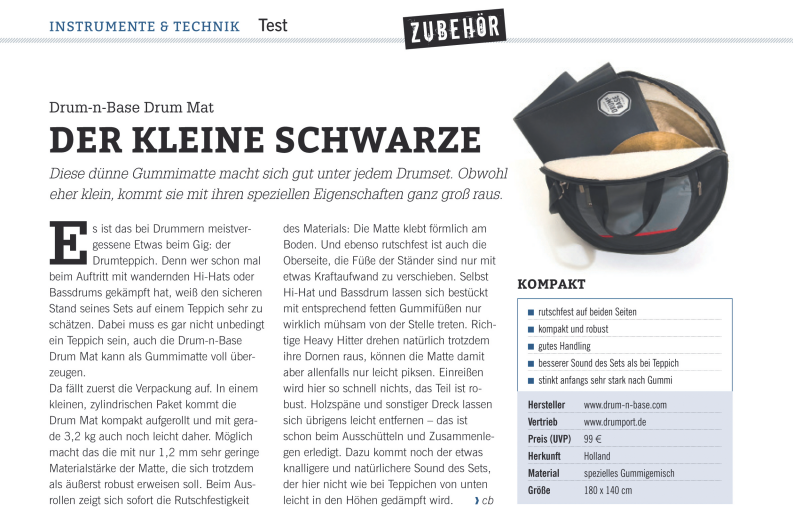 DRUMnBASE is on the German drummagazine Drumheads.de! We are proud to pronounce the Drumbassadors are going on the road with the DRUMnBASE drum mat from now on (they can use it as you can see)! Groove it Up goes DRUMnBASE!